Alaska is a destination that everyone should put on their bucket list. 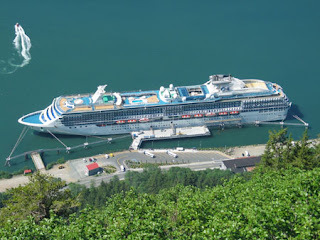 One of the best ways to see the northern state is on a cruise ship, and the 2012 season begins in May. A variety of large and small ship cruise lines are scheduled to set sail in Alaska's waters this season. Thirty large cruise ships are scheduled to serve the nearly 900,000 visitors who cruise in Alaska each year. Alaska will see the return of a Disney Cruise Line ship, the addition of a Princess ship, Norwegian Cruise Line will replace the Norwegian Star with higher-capacity Norwegian Jewel, and The World of Residences at Sea will also make an appearance for one voyage in 2012. Large ships offer many amenities not found on smaller ships, and some have naturalists on board presenting programs and commentary during the sailing. Larger cruise lines have their own docks and a large program of tours from which to chose at popular ports. They also provide land and sea combination tours for visitors who want to go inland and explore more than the coastline. Small-ship cruise lines are also establishing new routes, ships and excursions for passengers. 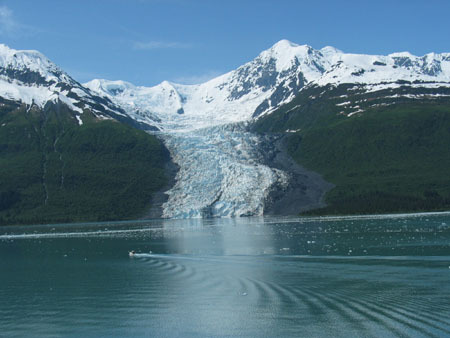 American Cruise Line will sail to Alaska for the first time in 2012, offering small-ship adventures along Alaska's Inside Passage aboard the American Spirit. With no more than 150 passengers on each cruise, guests are treated to an intimate atmosphere on ships designed to navigate calm, narrow inland waterways. Seven night, round trip cruises from Juneau and 11-night, one-way cruises between Juneau and Seattle travel into Glacier Bay and Tracy Arm Fjord visiting Sitka, Hoonah and Petersburg. Complimentary shore tours are offered at each port of call, taking passengers to local sites and providing insight into the area's culture, heritage and history. Small-ship adventure operator American SafariCruises has two vessels joining its fleet in Alaska for 2012, one sailing a new itinerary. American Safari Cruises recently added the 86-passenger Safari Endeavour to its fleet of three yachts. The renovated ship will sail in Alaska's Inside Passage on weeklong, round trip itineraries from Juneau. Sister company InnerSea Discoveries also added a new ship, the 76-guest Wilderness Explorer that sails on weeklong adventure cruises one-way between Juneau and Sitka. 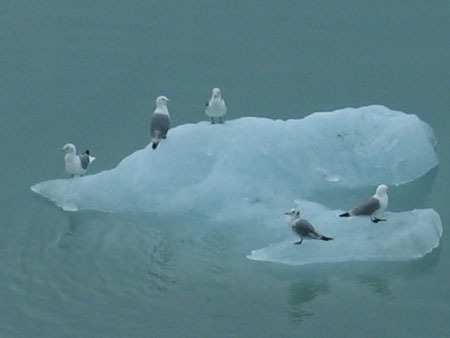 See birds, otters, and other wildlife on ice patches in the water. Adventure Life is offering several new adventures to Alaska, including itineraries with luxury expedition cruise vessels. Travelers can choose from more than 25 small-ship adventures traveling to Prince William Sound, Glacier Bay, Point Adolphus and more. Trips range from eight to 15 days. Alaskan Dream Cruises of Sitka will offer three new itineraries and additional ports of call (Ketchikan, Skagway, Haines, Thorne Bay, Kasaan, Wrangell and Gustavus) on its two renovated ships. Itineraries range from three, six, eight and 11-day cruises spotlighting the glaciers, wildlife and Native culture of Alaska's Inside Passage. Lindblad Expeditions-National Geographic celebrates 30 years of Alaska exploration in 2012 with its new Undersea Alaska Program. An undersea specialist onboard each Alaska expedition will dive 40-80 feet below the water and collect high-definition footage to be shared with guests. Lindblad Expeditions' Alaska itineraries include the eight-day Exploring Alaska's Coastal Wilderness and the 12-day Alaska, British Columbia and San Juan Islands trips. Its fleet includes two 62-guest vessels that voyage into remote passages where guests can explore by kayak or raft for up-close encounters with wildlife.